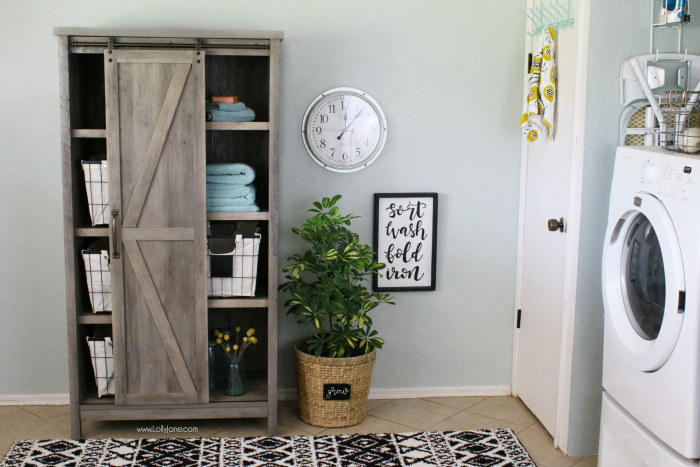 We shared Kelli’s laundry room makeover earlier this year and you guys loved her small laundry room makeover ideas. 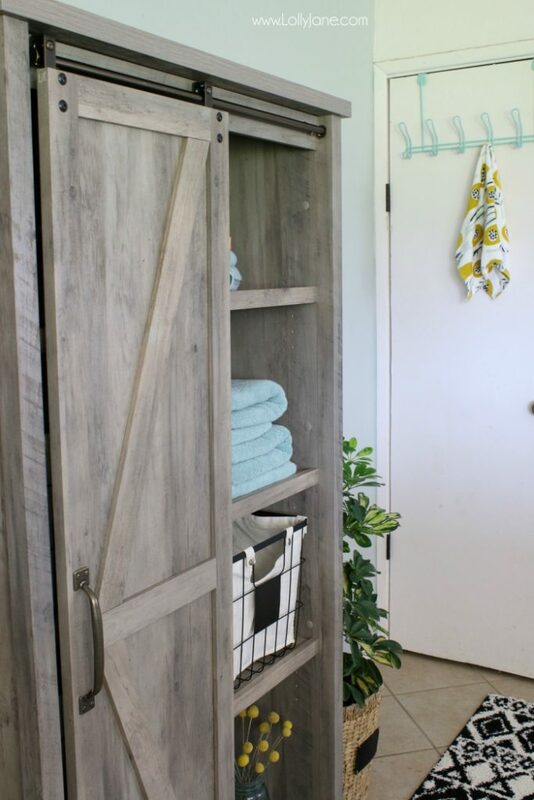 Today we’re tackling the other side of the laundry room with the help of Better Homes & Gardens at Walmart line, conveniently available at your local Walmart. Follow along, friends, and we’ll teach you how to shop Walmart like a boss: to get the high end look at an affordable price, but without giving up the quality. 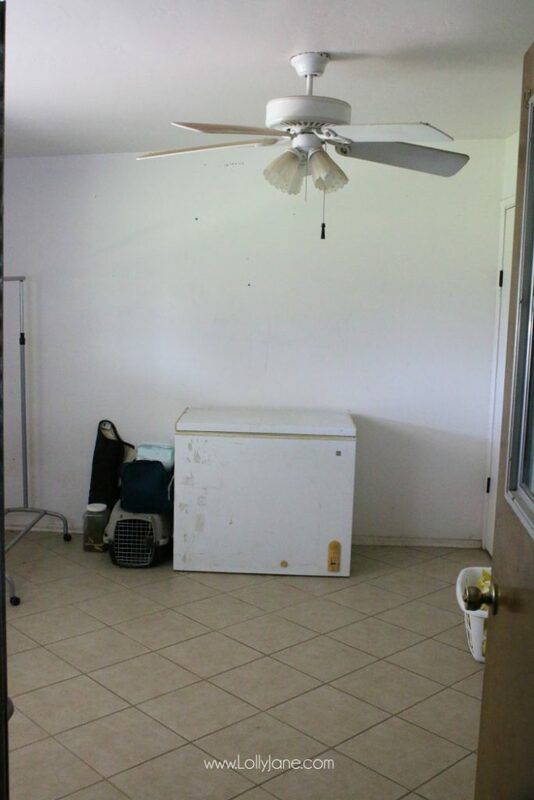 I moved the freezer to the other side of the room then painted the wall Sherwin-Williams “Comfort Gray”. I then added the rug to create a base to decorate around. 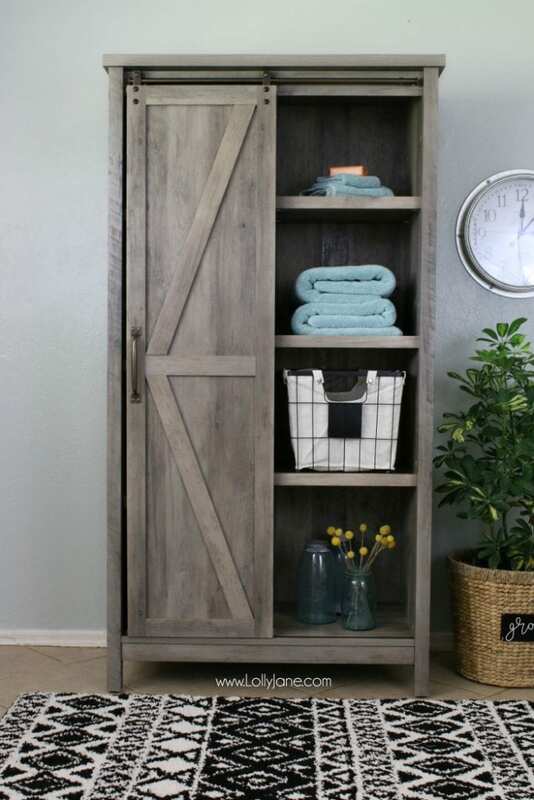 This modern farmhouse storage cabinet is the star of the room! I love all the details on it. 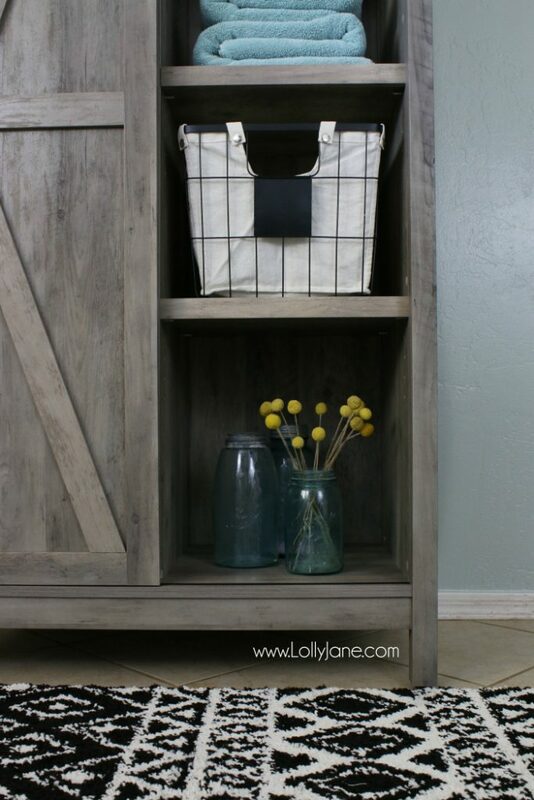 These baskets fit perfectly on the shelves…bonus: if they don’t fit perfect, the shelves are easily adjustable. 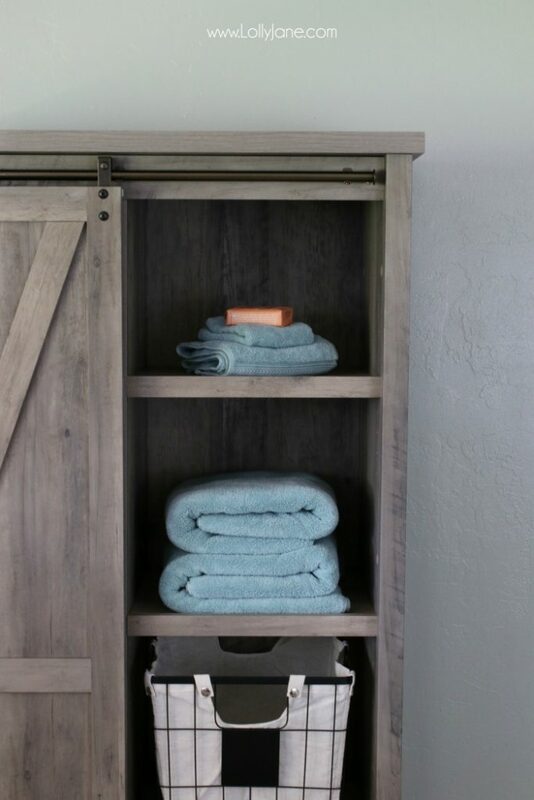 We filled it up with borrowed items around the house but ultimately, it’ll house our beach towels and guest towels which take up too much room in the linen closet down the hall. 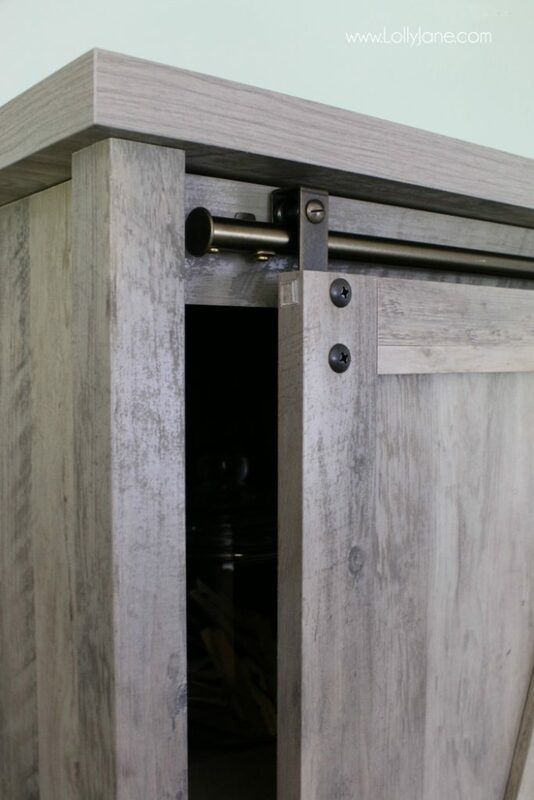 I love the farmhouse barndoor detail the most. The whole cabinet took about 3 hours to assemble, it was easy but a lot of little steps. 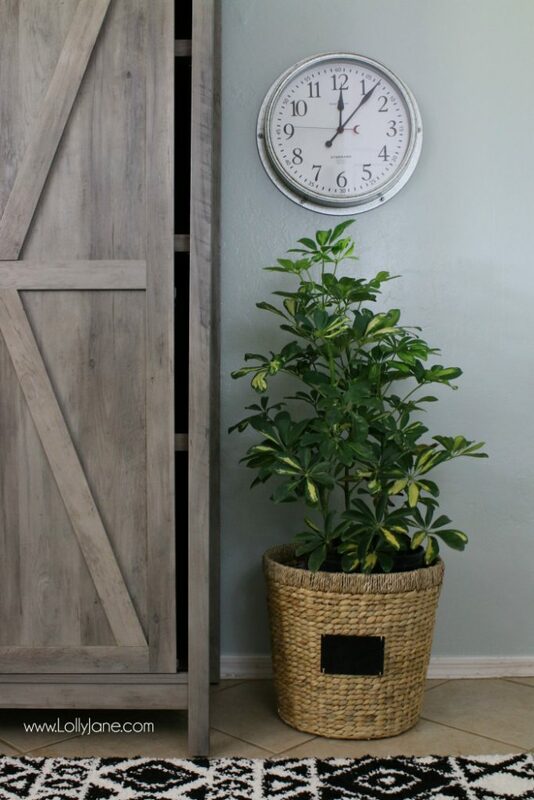 The sliding barndoor really gives it an authentic farmhouse touch. Accessories really complete the space. 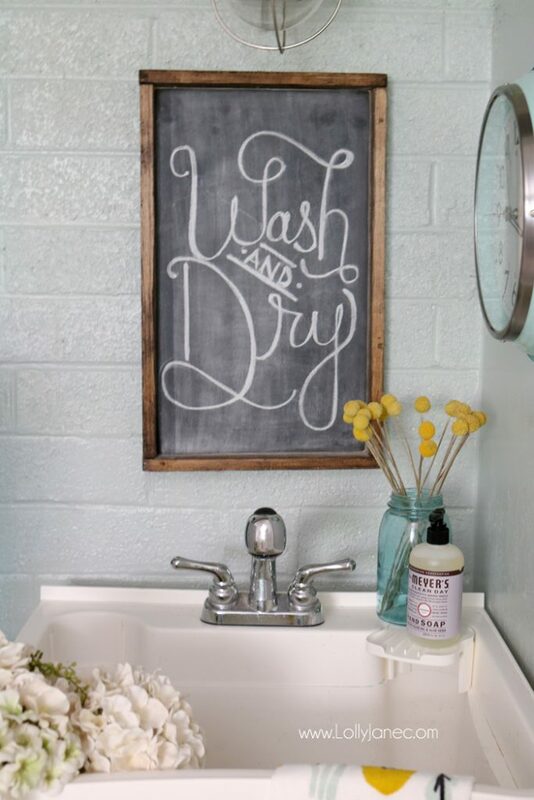 We wanted to acknowledge how to decorate laundry room walls and since we’re sign makers, we had to throw some laundry room decor signs in the mix! Some pro tips to maximize decor is to stick with the Better Homes & Garden at Walmart. It’ll stand out since it’s always on-trend. Check out the kitchen aisle for cute handtowels, the bathroom aisle for fun accessories to double as decor (remember our toothbrush holder turned succulent pot?) 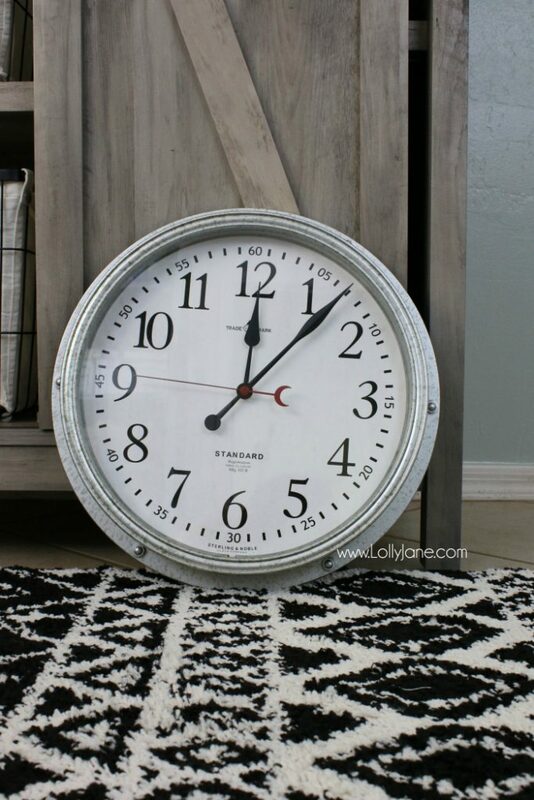 rugs, the end caps for what’s trending and dig behind the rugs for the best deals. Sometimes you’ll miss the good ones if you don’t move them around. Extra tip: Be sure to hit up the garden section for extra pillows, their styles are versatile enough for indoor and outdoor use. 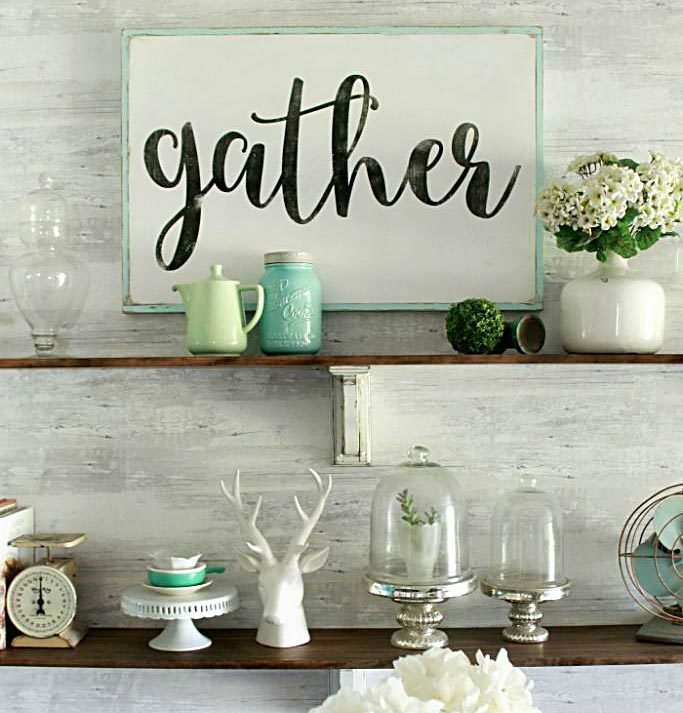 Plus you’ll score pots and fresh plants to add some greenery and warmth to your space. We’re big fans of straw baskets so you can mix and match plants without having to actually pot them. Can you believe the transformation!? Check out the other side of the laundry room that we worked on earlier this year. 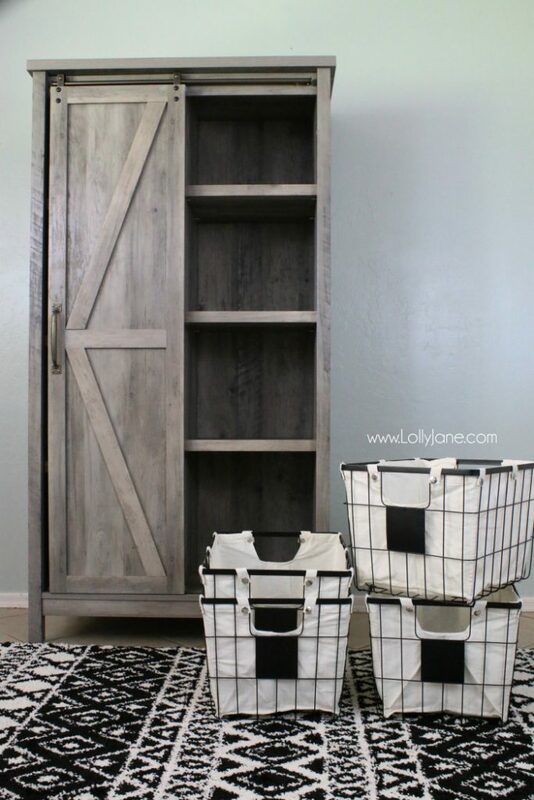 PLEASE PIN so your friend’s can get some laundry room decor ideas too! 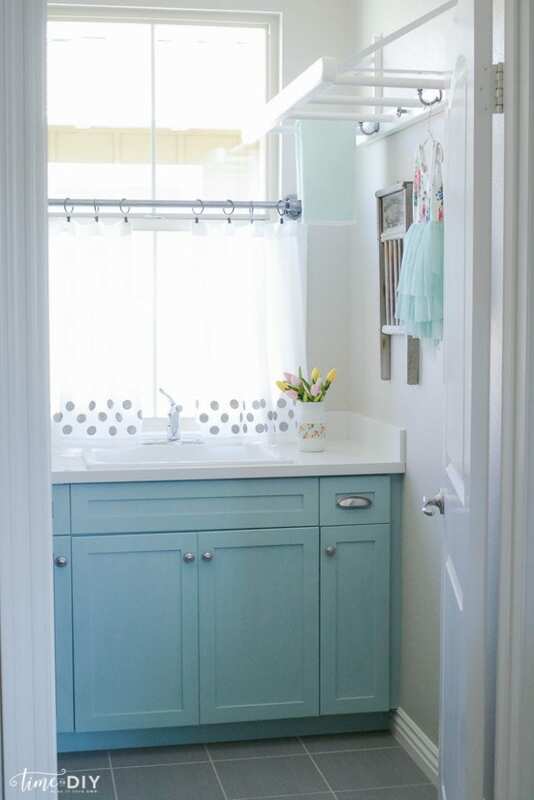 PS: We’re in love with this aqua laundry room too from Debby, her polka dot curtains are an easy diy project. SO awesome! 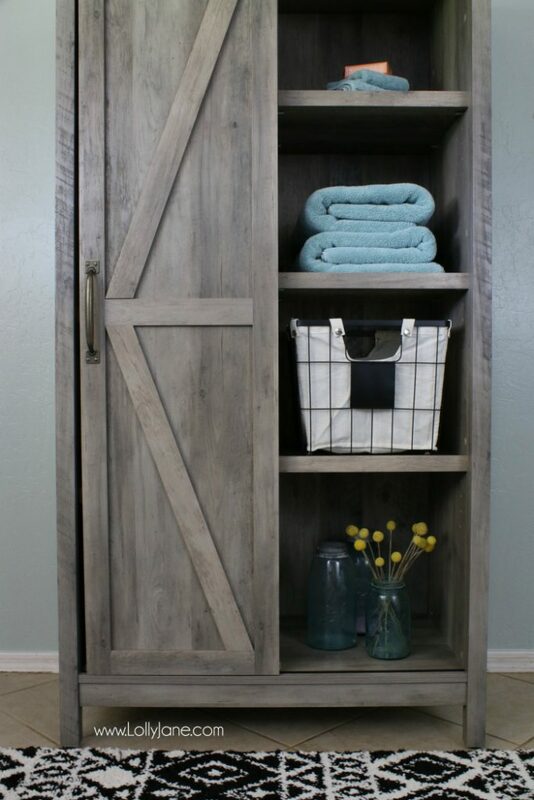 I love the farmhouse cabinet it would fit perfectly in our tired laundry room!! It’s so cute isn’t it!? My daughter is begging to put it in her room for art supplies, I think I’ll get another one! hey girls- love the laundry room! So cool! Thank you, Shawnna! It was a fun project! The room is so cute!!! 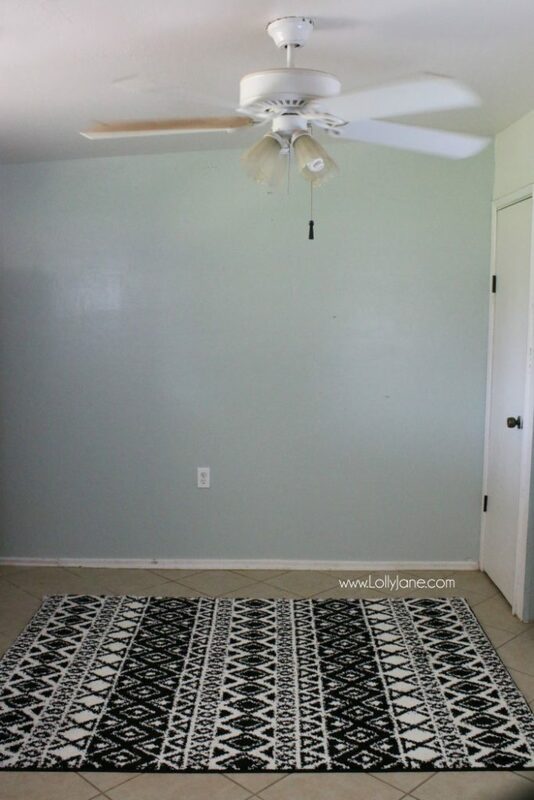 Did you get the rug from Walmart too? very nice! 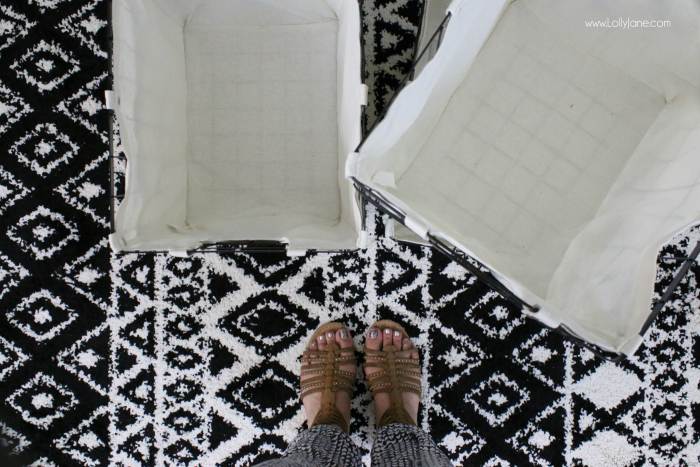 love the cabinet and the rug! 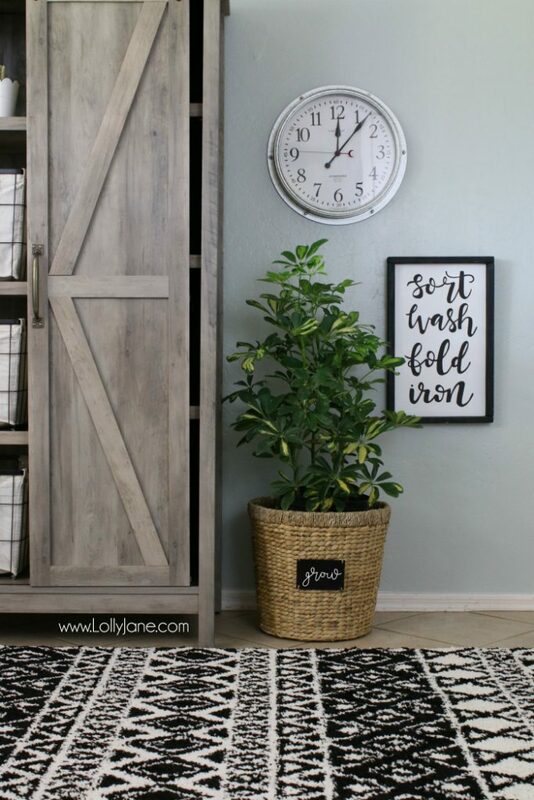 didn’t see a link for the rug and would love to check it out. I wish my space was bigger. Love the makeover. Thanks for sharing at the Inspiration Spotlight party. Sharing. 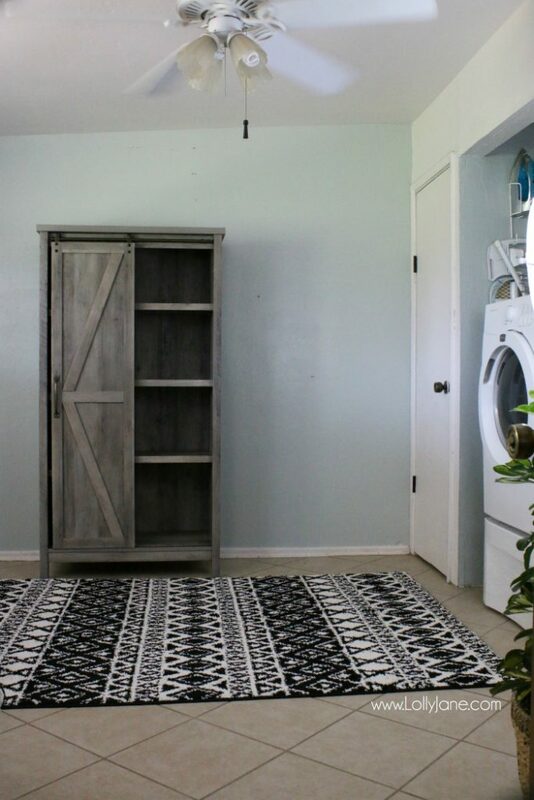 The cabinet is wonderful but of course it is the DIY laundry room art that has me swooning over here. Love them both. Pinning. 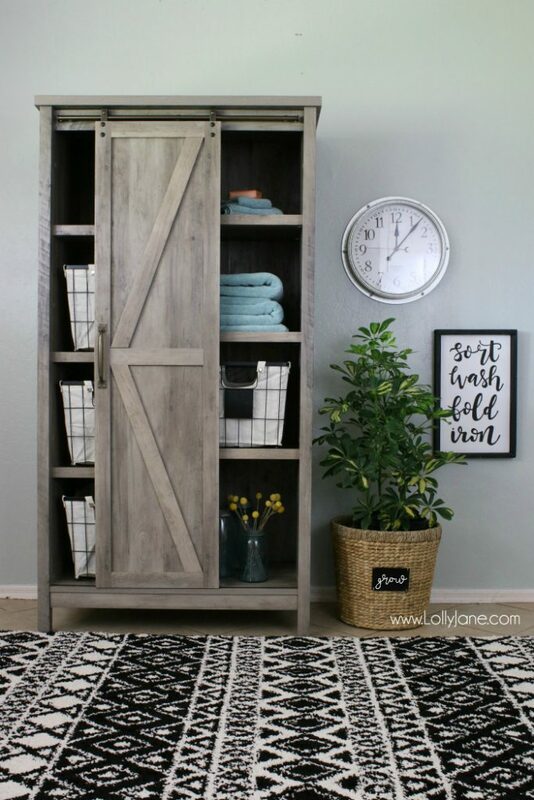 Amazing farmhouse makeover girls… love it!! Thank you for sharing at Create, Bake, Grow & Gather this week. I’m delighted to be featuring this project at tonight’s party and pinning too!! So cute! 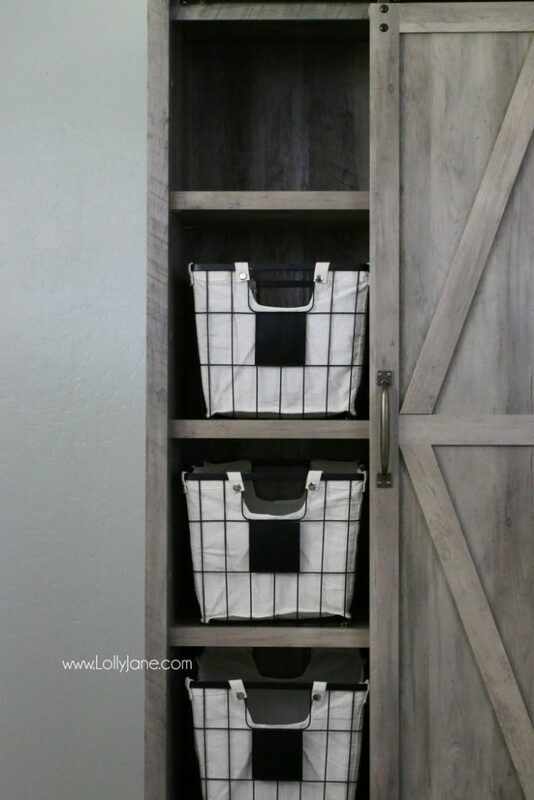 Having a pretty and well-organized laundry room makes doing the laundry less of a chore and so much faster. It’s no wonder this was one of the most viewed posts from last week’s Bouquet of Talent link party.